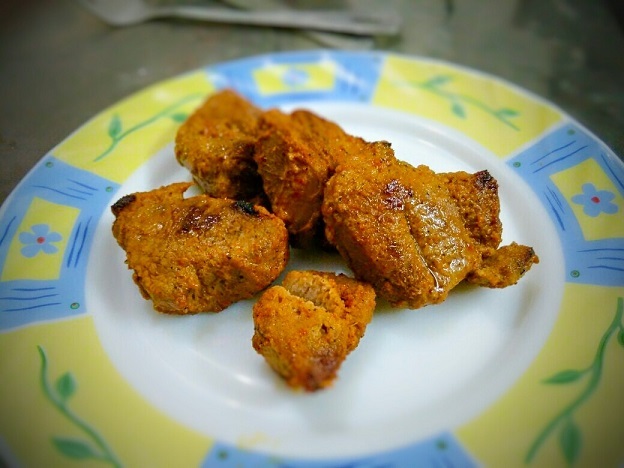 To the mutton, Add raw papaya pulp, lemon juice, salt, red chilli powder and turmeric powder and mix well. Leave to marinade for 5-6 hours. Do taste the marinade to check for salt and flavor that you want before letting it rest. As you can see in the pic above, burn some coal in your barbeque. Put a slab of stone or marble as I used. Let it heat. 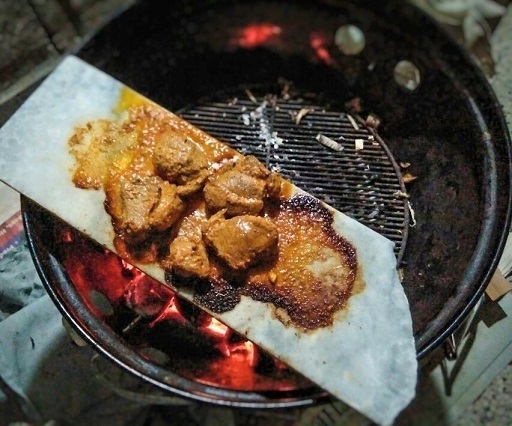 After some time just sprinkle some water on slab, if it sizzles it means it is hot enough. Now put the kebabs on stone, 4-5 at a time. It will take 10-15 minutes for them to cook. But do check if they are done as it might vary. That's it! You Pathar ke Kebabs are ready. Eat them with onions and green chutney. They are going to be so succulent and tender and delicious, you will savor them for a long time. I know it is a little tedious, but then results will be worth it! Do leave your comments below and subscribe to my blog for more interesting recipes.